Great news, music lovers: October is right around the corner — marking the start of our outstanding 2018-2019 Carriage House Concert Series! Hawaiian masters Led Kaapana & Mike Kaawa kick off the series on Sunday, October 14 at 7pm. Kaapana, a three-time Grammy Award winner, is a living legend whose tremendous skill extends to multiple instruments and a vocal range from baritone to Hawaiian falsetto singing (leo ki'e ki'e). Kaawa is known as Hawaii’s finest 12-string guitar player. Performing together for nearly 20 years, the two have developed a musical rapport that is spellbinding to watch! 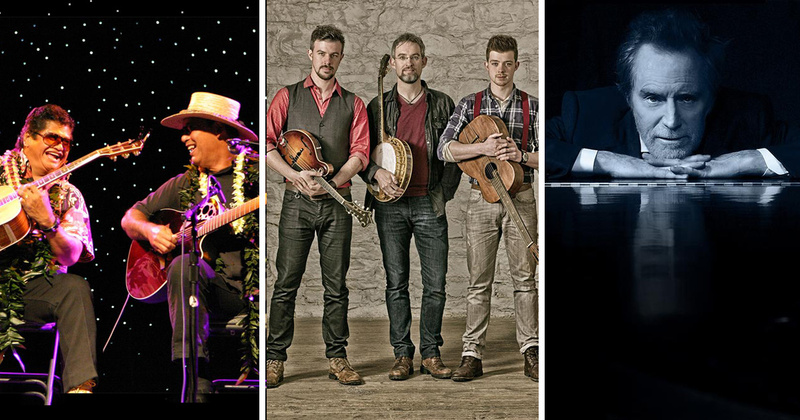 Next, join two of the freshest groups on the Celtic music scene today, We Banjo 3 & Skerryvore, on Wednesday, October 17 at 7:30pm. We Banjo 3 finds common ground between old world tradition and authentic Americana by blending banjo, fiddle, guitar, and mandolin in a fusion of styles they dub “Celtgrass.” Skerryvore are two-time winners of Scotland’s Traditional Music “Live Act of the Year” Award. JD Souther takes the stage for an intimate performance on Thursday, October 18 at 7:30pm. An architect of the Southern California sound, Souther penned some of the Eagles’ greatest hits and has written songs for Linda Rondstadt, Don Henley, James Taylor, and others. He has received Grammy nominations, Academy of Country Music Awards, and American Music Awards, and in 2013, he was inducted into the Songwriters Hall of Fame. Join us on Saunday, October 14 at 3pm as we learn to make beautiful Ti Leaf Leis, hear legends about the ti plant, and learn more about its uses. In Hawaiian culture, this colorful, tropical plant has always been thought to have great spiritual power. It has been used throughout centuries for spiritual protection, healing, and purification. Its leaves have many practical purposes, such as wrapping food, making hula skirts, and creating beautiful leis. In this class, you will Hawaiian lei protocol and how to prepare the leaves, then will create a ti leaf lei that is both wearable and aesthetic. Instructor Kau'i Isa-Kahaku is the kumu hula of Hālau Nā Wai Ola, an award-winning hula school located in San Jose’s Japantown. 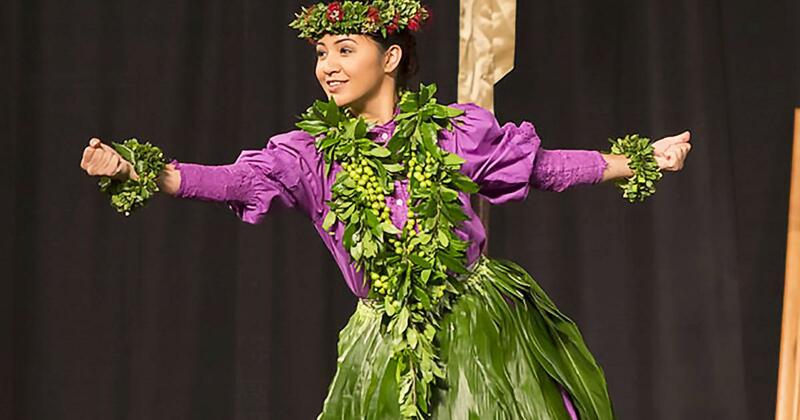 Together with her husband and daughters, she has created a community based on service, infused with traditional Hawaiian values, and dedicated to the perpetuation of the art of hula as well as the spirit of aloha. We're So Close! Can You Help Us? Montalvo's mission is to engage the public in the creative process, acting as a catalyst for exploring the arts, unleashing creativity, and advancing different cultural and cross-cultural perspectives. We are so close to our fundraising goal for our fiscal year, ending September 30th. We only have 4% of our total left to raise! If you've already given, THANK YOU SO MUCH! You've gotten us to where we are. But if you haven't yet made a gift, won't you please help get us all the way to our goal before October 1st?